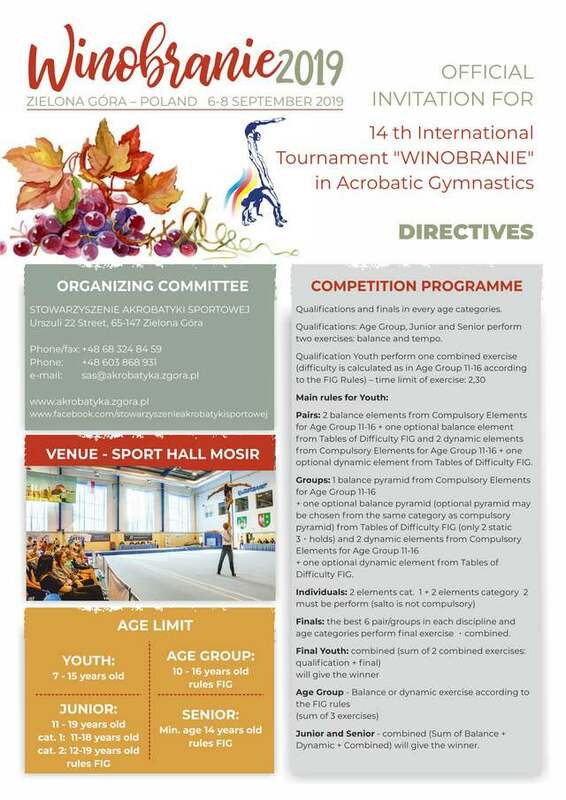 We are very pleased to invite you to our new edition of the 14 th International Tournament in Acrobatic Gymnastics „Winobranie 2019” in Zielona Góra. 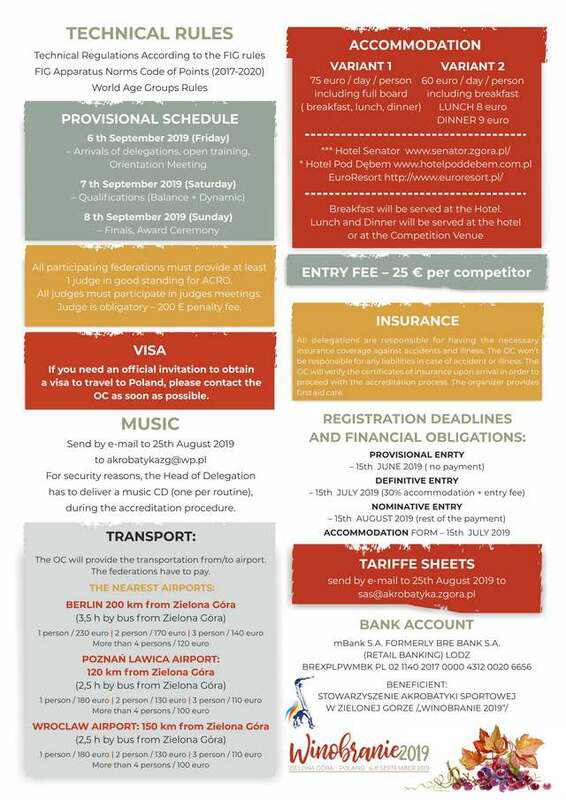 This will take place from 6 th to 8th september 2019. The deadline of the provisinal entry is June 15th. If you need any further information please do not hesitate to contact us. We look forward to see you!